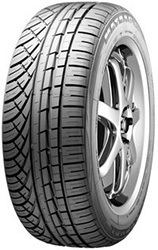 The Matrac XM KH35 is a brilliant tyre that combines sporty performance with the best levels of comfort possible. These tyres allow you to enjoy every aspect of your journey thanks to a reduced road noise and a smoother drive without giving up traction, stability or responsiveness. You can also enjoy excellent wet weather performance and improved water dispersion on these options. Marshal tyres are incredibly popular and it’s easy to see why with the Matrac XM KH35 option. The Matrac XM KH35 is a brilliant tyre that combines sporty performance with the best levels of comfort possible. These tyres allow you to enjoy every aspect of your journey thanks to a reduced road noise and a smoother drive without giving up traction, stability or responsiveness.You can also enjoy excellent wet weather performance and improved water dispersion on these options. Marshal tyres are incredibly popular and it’s easy to see why with the Matrac XM KH35 option.